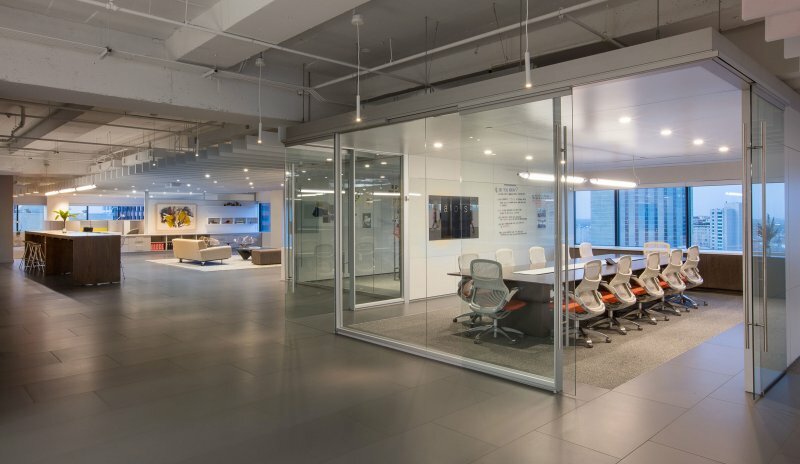 Situated in downtown New Orleans, AOS (Associated Office Systems) expanded and renovated their offices to a sleek and modern workplace showroom. EskewDumezRipple, in association with Verges Rome Architects, designed the approximately 7,000 SF renovation with an expansion of 3,000 SF. 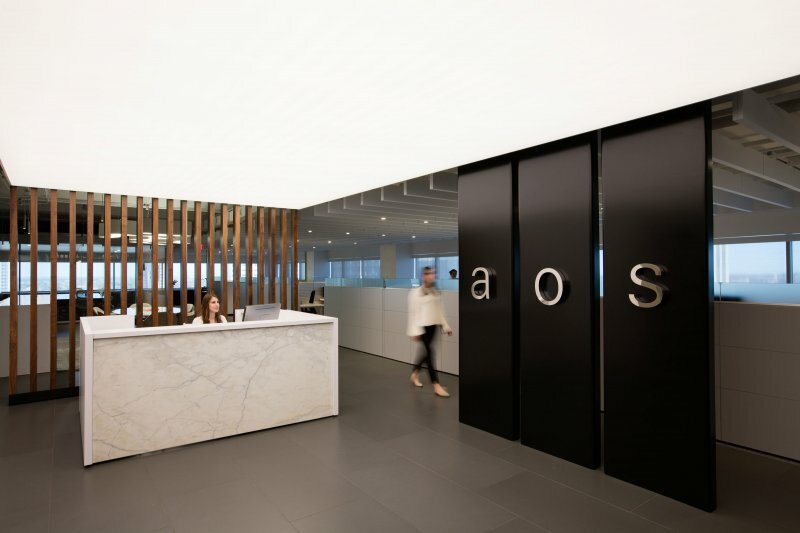 As a furniture dealer, AOS needed a space to reflect their trade and appeal to the various clients they serve. It was very important to the client to craft a design that was beautiful, functional, and comfortable to their employees. The space’s palette was transformed, moving from predominately red and black to white and lighter colors, enhanced by the building’s expansive windows, and natural light flooding in. Blackened steel walls were utilized to tie the firm’s branding into the interior the moment guests arrive. The space was intentionally split into defined workspace and collaborative/ showroom space. Product does not have to be on a stage to sing. 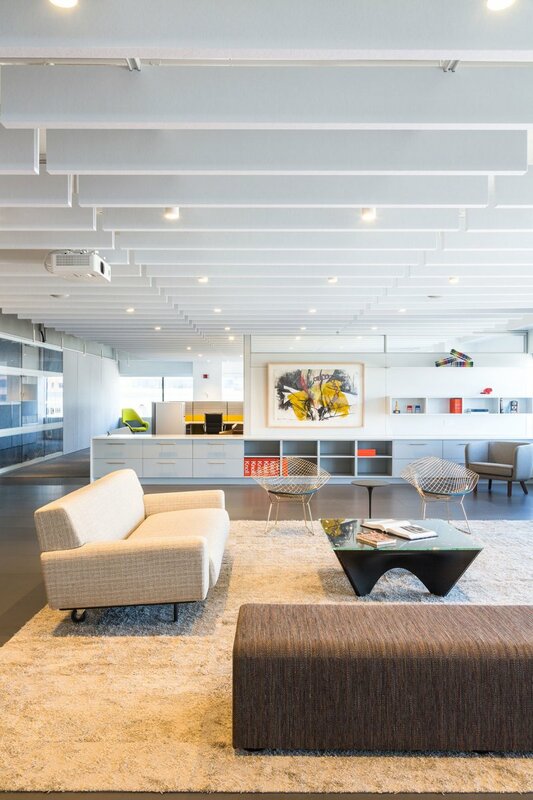 AOS’s workspace pulls doubleduty as a showroom, with the interior featuring pieces they offer from their catalog. The project utilized the DIRTT (Doing It Right This Time) system, a custom pre-fabricated framework, allowing total construction to be completed in only 6 weeks. 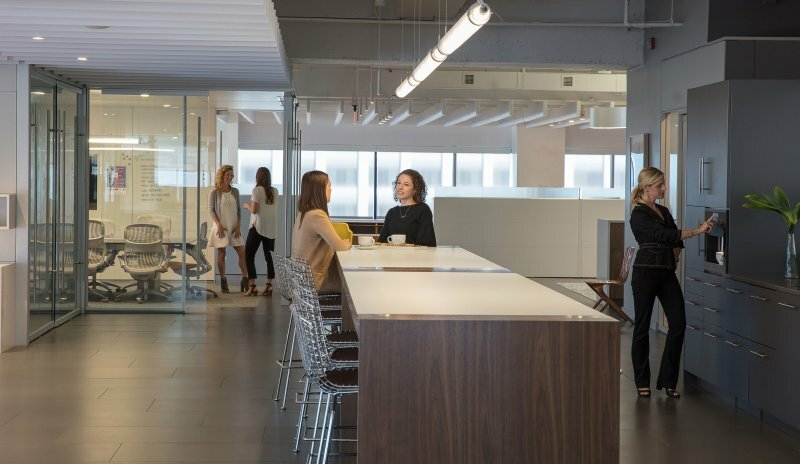 A fully equipped Java Center showcases the DIRTT millwork capabilities, and an open lounge area displays various furniture pieces in a flexible space that can be transformed for large meetings, presentations, yoga, training, events, and more.